Cut out your stork shape on cardboard. Cut out two of these. Cut the width of the stork about 6″ wide going against the grain. Make feet out of pipe cleaners. Wrap the feet in orange crepe paper with a piece of crepe 1″ wide going against the grain. 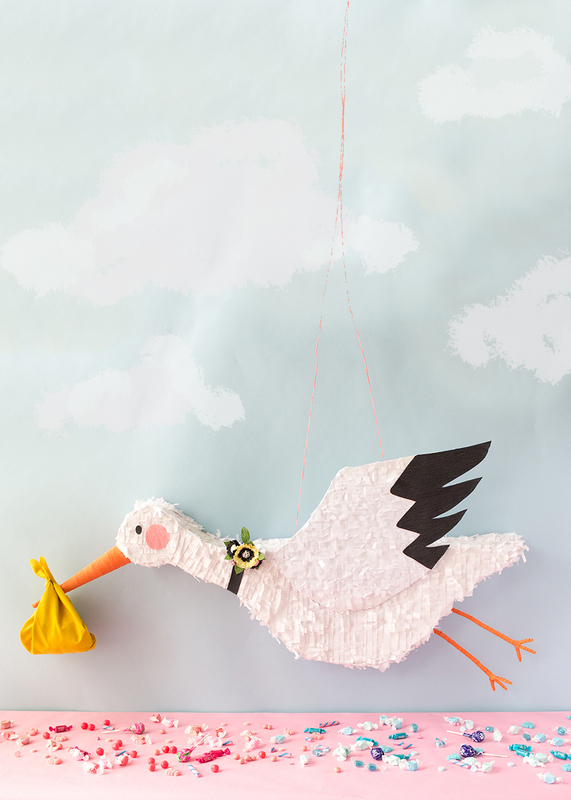 Glue or tape the fringe onto the stork. Create a beak by making a cone out of paper and gluing it onto the bird. Wrap the beak in orange crepe paper. Create a candy hole at the top. Add two holes to string the string at the top.